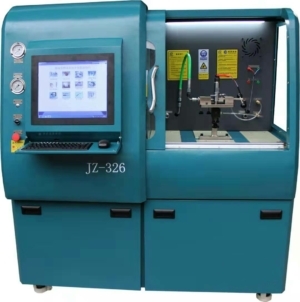 Test Bosch(CP1/CP2/CP3) Denso(HP3/HP4/HPO) Delphi(CRSP) Simens (DCP) common rail injectors and pumps, test EUI/EUP unit injectors and pump, test Caterpillar HEUI injectors- full function diesel test bench. BIP function- injector responding time tested. Equipped with Boschgenuine CP3 pump. 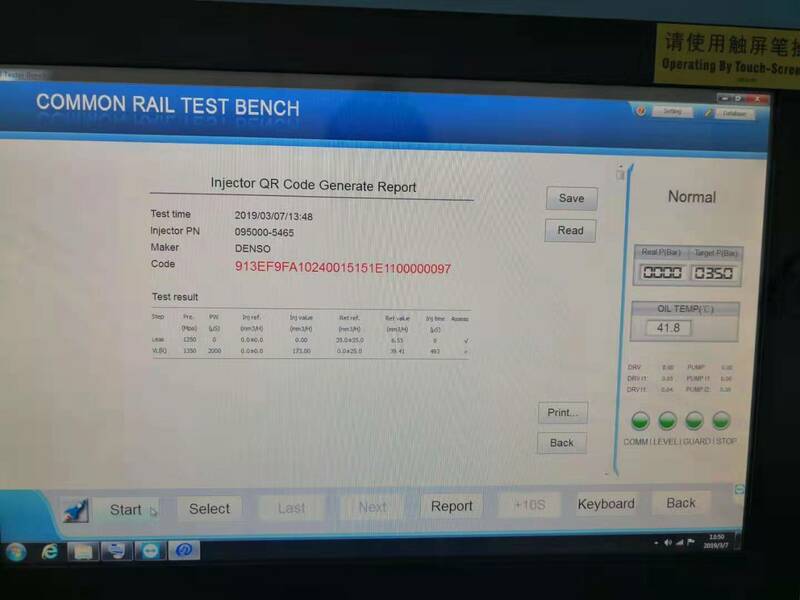 Industrial Air Conditioning Refrigerationused on the testing machine. 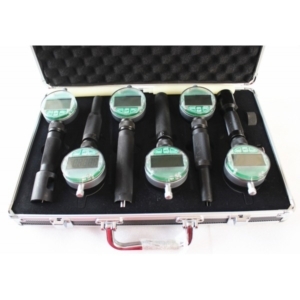 Flow sensor of the common rail test eqipment : imported flow sensor. 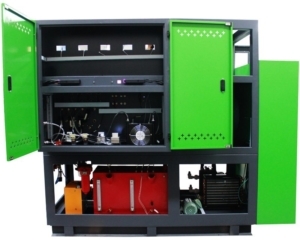 Diesel fuel system and oil working system are separated. Test the pump inside pressure, and feeding pressure. Short-circuit protection, ground protection, overpressure protection during the testing. 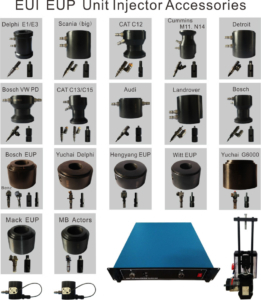 The precision filteris used before fuel comes to flow sensor, can effectively keep the sensor clean and extend the flow sensor usage life. 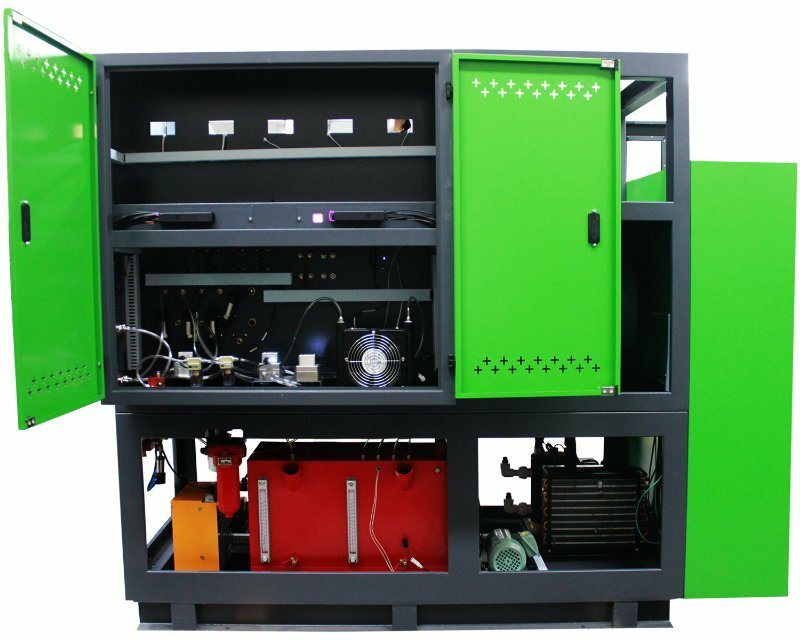 Multi-language applys on this diesel diesel calibration machine. 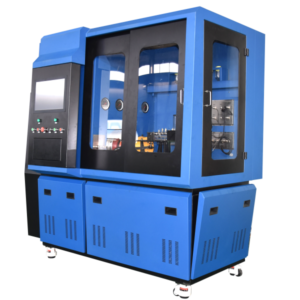 Intelligent algorithm isused to automatically calibrate the fuel quantity of the new injector, and generate test plan after testing. 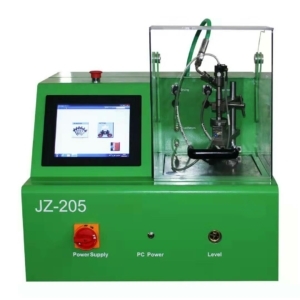 Automatic test the common rail injectors and pumps, Caterpillar HEUI injectors ( including 3126 injectors), EUI EUP under different working conditions, automatic analysis of measurement results, and generation of reportsafter testing. 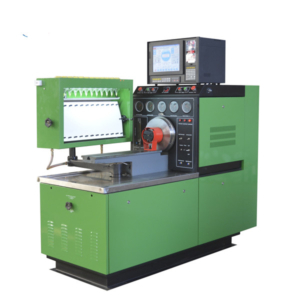 User can customize parameters such as rail pressure, pulse width, and fuel injectiontime when using this common rail injector test stand. Data backup, system software and function upgrade by romote control. 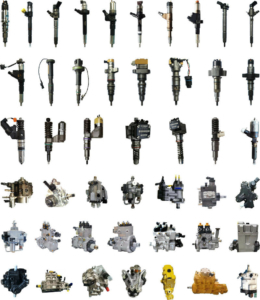 Testing data same as Bosch, Denso, Delphi original data, accuracy can reach to be the genuine data. 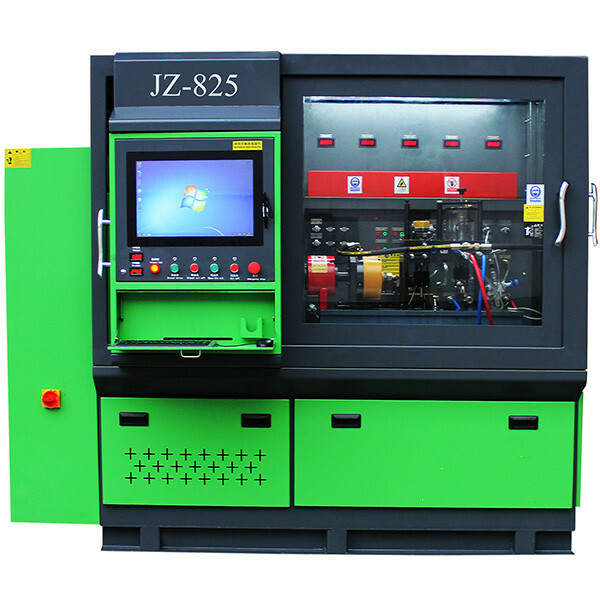 Industrial computer real-time control, windows operating system, built-in display, touch screen operation. 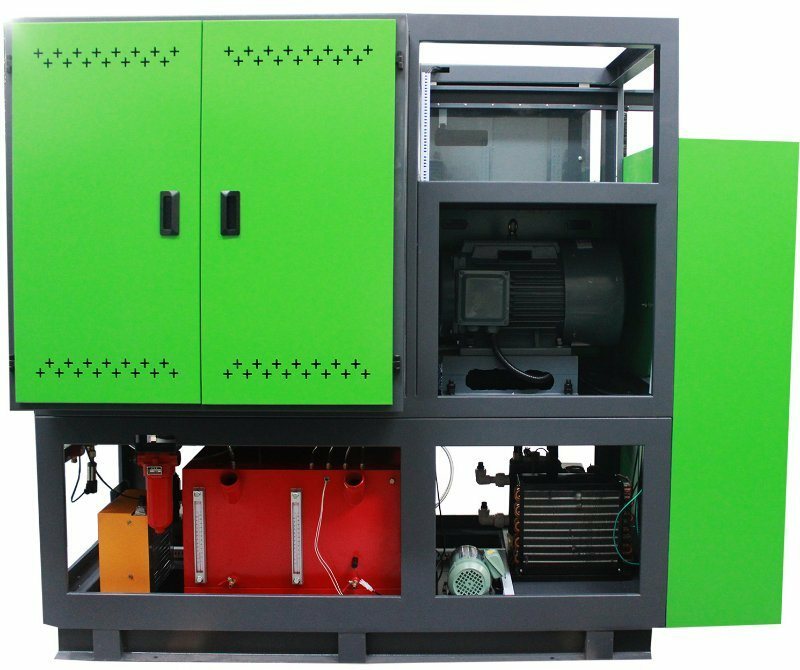 DJ diesel industry co.,ltd is specailised in the design and production of common rail test benches , injection pump test bench, and so on for repairing the diesel fuel injection system. Add：Jueshihaoye, Xiyihuan, Dengzhou, Nanyang, Henan Province, China.